Besides the temperature, I noticed the little "3G" in the upper left corner. It said "E" when I left a week ago. 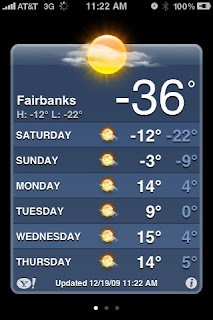 That was nice to finally see in Fairbanks.